Most likely you were having kidney cancer symptoms such as blood in the urine, a lump or mass on the side or abdomen as well as rapid weight loss. 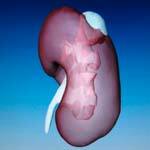 Your doctor may have even noticed renal cyst that are not going away. So you’re diagnosed with kidney cancer, what next? We hear cancer and right away we start to panic. While that’s natural, be sure to calmly discuss your options for kidney cancer treatment with your physician as soon as possible. 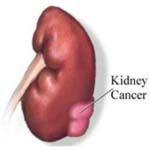 The sooner you begin treatment the better your kidney cancer survival rate will be.